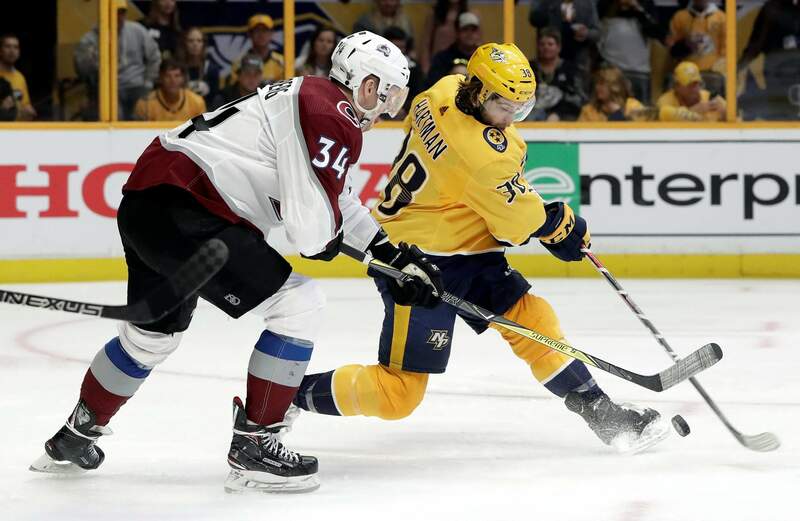 Nashville Predators center Ryan Johansen (92) scores a goal against Colorado Avalanche goaltender Jonathan Bernier (45) during the second period in Game 2 of a first-round playoff series Saturday in Nashville, Tenn. At right is Avalanche center Alexander Kerfoot (13). 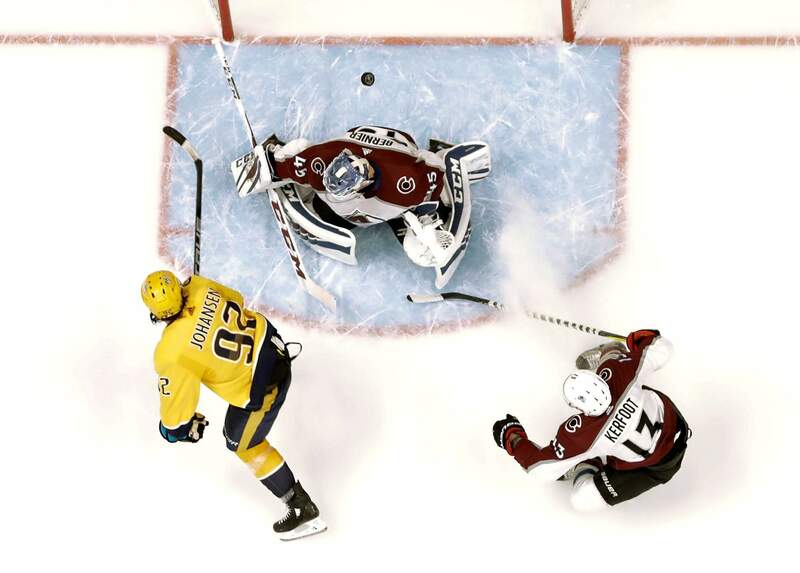 Colorado Avalanche center Carl Soderberg (34) blocks a shot by Nashville Predators right wing Ryan Hartman (38) during the third period. 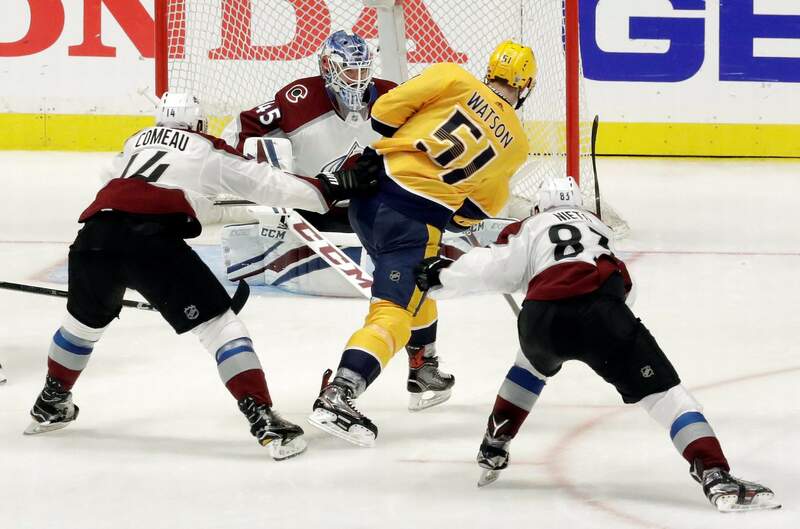 Nashville Predators left wing Austin Watson (51) scores a goal against Colorado Avalanche goaltender Jonathan Bernier (45) during the third period. 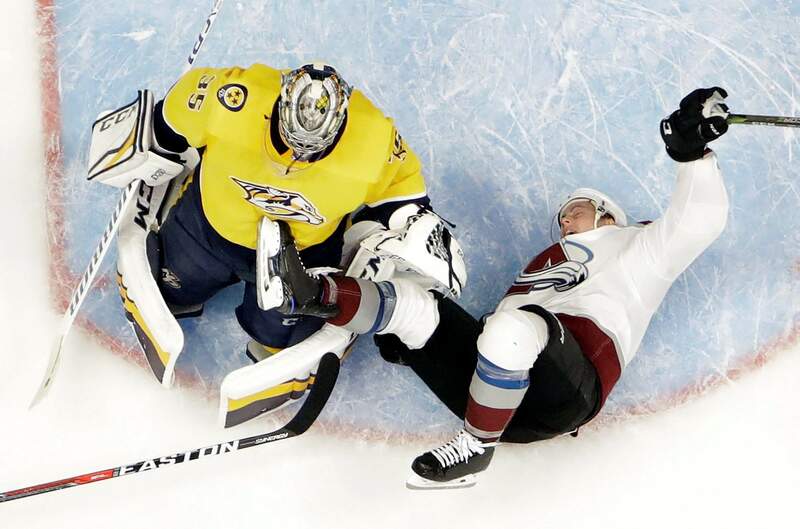 Colorado Avalanche defenseman Tyson Barrie (4) falls over Nashville Predators goalie Pekka Rinne (35) during the second period. 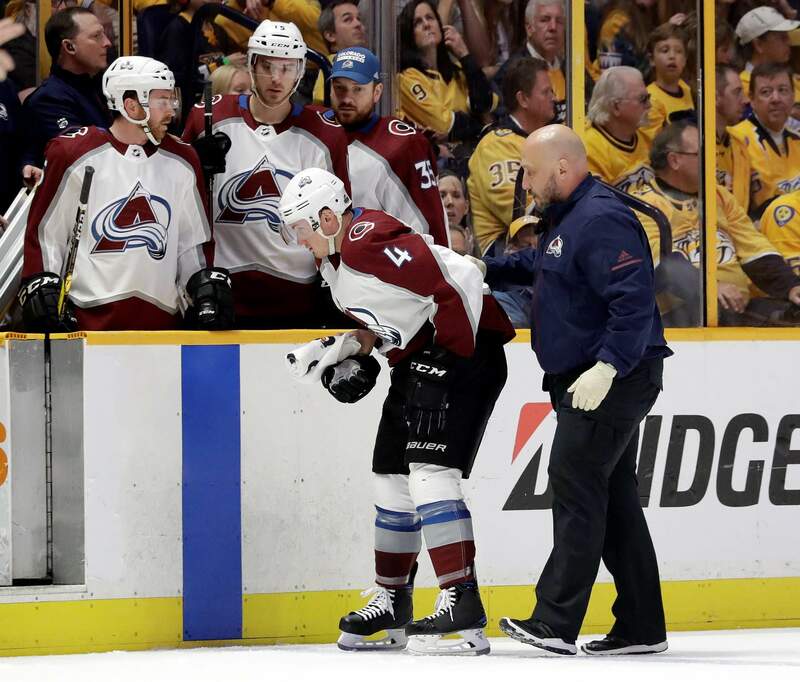 Colorado Avalanche defenseman Tyson Barrie (4) is helped to the bench after being injured during the first period.